Handmade boxes are not only lovely objects, but can also house and protect a vast array of objects. 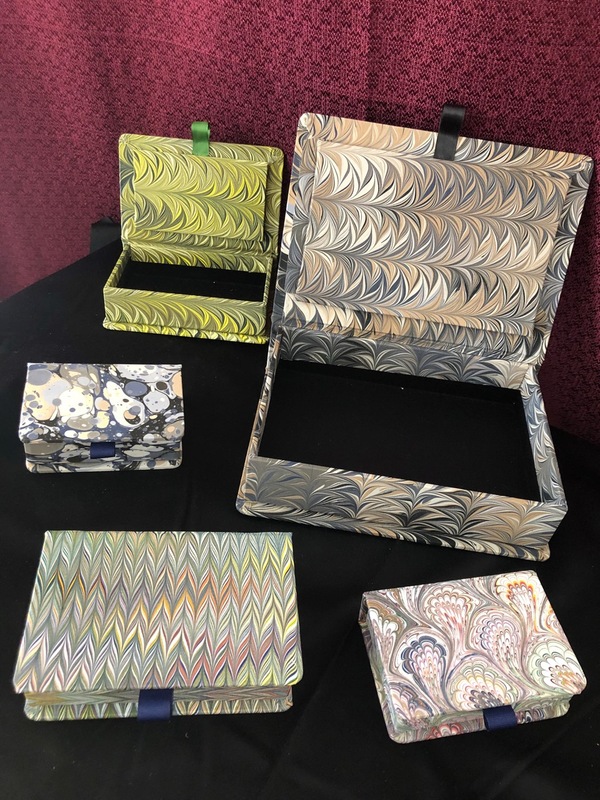 Pietro will take you through the steps necessary for crafting your own clamshell box covered in marbleized book cloth. The clamshell is considered perhaps the most elegant of box structures, and learning to construct it provides you with a strong foundation for future box-making and bookbinding projects. 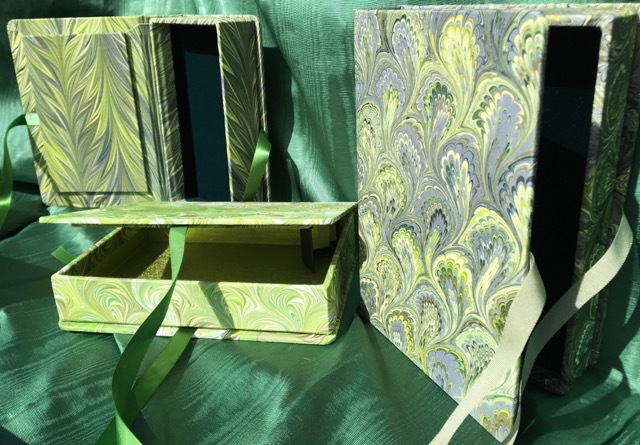 Pietro will supply you with all materials for this project, including pre-cut hard binders board and an array of one-of-a-kind marbled Fabric for covering the box. This class will add an excellent set of skills and knowledge to any crafter’s repertoire.